Edgar is making his FringeNYC debut. He is an ensemble member with The Flea Theater, The Amoralists Theatre Company, as well as Poetic Theater Productions. NYC credits include Goliath (PTP); She Kills Monsters, Job (The Flea); The Cheaters Club, The Bad and The Better (The Amoralists). Training: Stella Adler Studio of Acting. Kendra is overjoyed to join the cast of Dragon's Breath. The production marks Holloway's third New York City theatrical performance since arriving in the Big Apple a little over a year ago. The Hopkinsville, Kentucky native has appeared as Yaya in the NYC premiere of Vultures at Roy Arias Studios and as Tailor in the Pulse Ensemble Theatre's production of The Taming of the Shrew. While an undergraduate at Clark Atlanta University in Atlanta, Georgia, Holloway appeared in The Threepenny Opera and numerous independent and student films. Holloway holds a Bachelor's degree in Mass Media Arts and has worked in the entertainment industry as a casting and production assistant. Holloway would like to thank God, her family and friends, the talented Michael C. O'Day for sharing his creativity, and the wonderful cast and crew of Dragon's Breath. She would like to dedicate her performance to the kid inside of every actor who dares to keep dreaming. Mikaela is very excited to be directing Dragon’s Breath in the 2014 New York International Fringe Festival. (Thanks for bringing me on board, Michael!!!) Mikaela has been working professionally in the theatre for over 20 years in many different capacities; Actress, Director, Producer, and Youth Program Director. And she is no stranger to the Fringe having produced, co-directed, and acted in the past. In fact, she was integral in bringing Beware the Man Eating Chicken by Henry Meyerson to the festival in 2004; co-producing and playing the lead role of Betty. She is proud to say it has since gotten published and is being produced throughout the regions! As a director she has worked with Hudson Exploited Theatre Company (Ampersand, A Question of History), Miles Square Theatre (7th Inning Stretch, A Little Chatter), Turtle Shell Productions (Zero Point, Mammaries, which won best play of the Madness Festival), and NJ Dramatists, (Spitting Daisies, SF Festival Finalist, and The Suitcase, SF Publication). She also works with Centenary Stage Company’s Women’s Play Series where she has directed and worked with such great playwrights; Cheri Magid, Michele Aldin-Kushner, and Catherine Castellani. As an actress, some of her favorite roles include Jesse in ‘Night Mother, Imagining Madoff ,Slaughter City, and The Maids (Garage Theatre Group) which earned her a nomination for “Best Lead Actress in NJ” by The Star Ledger; Moe Green Gets It In The Eye by Tony Dimurro at The Helen Hayes Theatre on Broadway; An Empty Plate at the Café Du Grande Boeuf (The Arden, Philadelphia, PA); Jane Ho (HExTc-Lion Theatre); Light up the Sky (Centenary Stage Company); Beverly in Miracle on South Division Street (Montgomery and Chenango River Theatres). In Film; Spike Lee’s Inside Man and Boor of No Importance directed by Joe Paul, starring along side her wonderful husband and leading man, Osborn Focht. She also enjoys working with children and as a director and drama club head has worked with several educational facilities most notably the NJ School of Dramatic Arts. You can read more at www.KafkaExperiment.com. "My love of 'new work' has highly influenced my work. With NJ Dramatists I met Henry Meyerson, taking Beware the Man Eating Chicken to a successful production at The NYC Fringe Fest culminating in its being published by Samuel French. With HexTc, I collaborated with John Pollatta and Arian Blanco, taking Jane Ho to a successful run Off-Broadway on Theatre Row. I have also worked with such up and coming playwrights as Oren Safdie, Tony Dimurro, Michael Hollinger, and Tom Sleigh. I was also co-founder of The Manhattan Improv Company which performed in the Tri State area for over two years." International: Debbie Gibson, Live! (Bvox), Celebrity Cruises Vocalist. Off-B'way: Unexplored Interior (orig. workshop - Cherry Lane Theater w/Jay O. Sanders), Trouble In Shameland (NYC Premier - Actors Playhouse w/Florence Lacey), A.W.O.L. (World Premier - 59E59 Theaters), News To A Muse (staged reading - Pan Asian Rep). Off-Off B'way: The Cradle Will Rock (Theatre1010), Christmas Rappings (twice w/dir. Russell Treyz). NYC: Josephine, Tonight! (workshop - Shermen Yellen & Michael Lavine). Regional: Touch (Barrington Stage), A Christmas Carol (Walnut Street Theatre), tick...tick...BOOM! (Michael u/s - dir. David Saint), Ain't Misbehavin' (dir. Sharon Hillegas). Nat'l Tour: A Midsummer Night's Dream (Bottom). Film: Hustlers and Strays (Supporting w/Dan Fogler), Dying Wishes (Featured), Certainty (dir. Peter Askin - prod. Mike O'Malley). Competitions: 9th Ave Vocal Competition (Winner - Musical Theatre - Male Category). Lorinda is from Porcupine Plain, Saskatchewan. In New York she has performed as a member of the Jean Cocteau Repertory Theatre., (Jenny in The Three Penny Opera, Frosine in The Miser as well as the title role in Mother Courage) appeared in several of the York Theatre's Musicals in Mufti, has been a part of the Town Hall Broadway Series, and is a member of the Joe Iconis Family as well as the Theater 20/20 Family. Regionally, she’s performed the role of Ethel Toffelmier in The Music Man at The Riverside Theatre in Florida, and Jolene in Dirty Rotten Scoundrels at the Arvada Center in Colorado. She has won two MAC Awards, a Bistro Award, a Nightlife Award, and most recently, the Patrick Lee Independent Theater Blogger Award for her one woman show, Triumphant Baby!, written by Joe Iconis and Robert Maddock. She is half of the award winning musical duo, The Ted & Lo Show, with Ted Stafford, playing monthly at Don’t Tell Mama. Lorinda has appeared on Who Wants to be a Millionaire and has invested her winnings wisely in a combination of the stock market and Texas Hold'em Tournaments. A big thank you to Michael Rodriguez at The Roster and to Michael C. O’Day for writing the words. Michael is an actor and writer in New York. As an actor, he has worked with such companies as the Public Theatre (365 Days/365 Plays), Classical Theatre of Harlem (Hamlet, Native Son, King Lear, Ma Rainey's Black Bottom, The Crazy Locomotive, Macbeth, Mother Courage, and The Cherry Orchard), and Paper Mill Playhouse (The Sound of Music). Off-off Broadway credits include the acclaimed recent Judson Arts revival of The Bonus Army, as well as The Cradle Will Rock and Happy End (Theatre Ten Ten), A Midsummer Night's Dream (Theatre 2020 - NYIT nominee, Outstanding dramatic Revival, 2013), A Raisin In The Sun, and Prospero in The Tempest. Films include Millie and the Lords, Free Parking, Bellclair Times, and Akhmed, the latter of which he also wrote. He has studied playwriting under the mentorship of Juilliard and LAByrinth playwright Andrea Ciannavei; he has also been fortunate enough to study fiction writing under Frederick Busch and John McGahern. Dragon's Breath marks his playwriting debut. 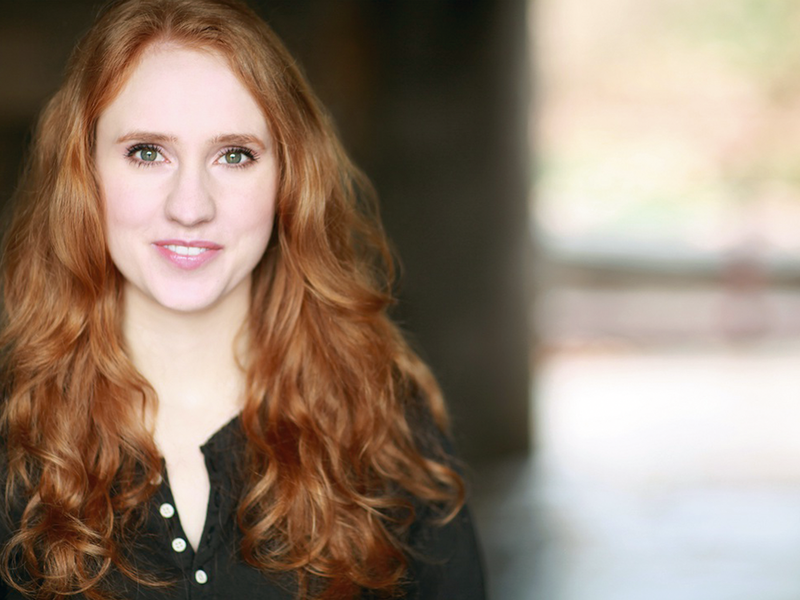 Ellen Warner is thrilled to return to the NY stage in the ensemble of Dragon’s Breath! Favorite roles include Abby in 100 Saints You Should Know, Mary McGregor in The Prime of Miss Jean Brodie (Studio Theater), Corinna Stroller in The House of Blue Leaves, and Carol in the short film When the Dogs Cried Out, for which she won an NYU First Run Film Festival Award. Other credits include The Member of the Wedding (Ford’s Theater), Lady Windermere’s Fan (Shakespeare Theatre Company), and More Fun Than Bowling (Chenango River Theater). In her free time, Ellen is a budding aerialist and writer. Her comedy short Dullaquirk will premiere late this summer on missellenwarner.com and other internet outlets. You can also follow Ellen on Twitter @ellenwarner. *These actors and stage manager are appearing courtesy of Actors' Equity Association. DRAGON'S BREATH is an Equity Approved Showcase for the 2014 FringeNYC Festival. David is equally adept at designing for dance, theater, circus, TV, film and the red carpet. His work in costuming and fashion has received critical acclaim in numerous publications: The Village Voice, WWD, Dance View Times, Dance Magazine, Ballet Review, Bust, Next, New York Magazine, Soap Opera in Depth, and Time Out New York, among others. Quinn has also designed for numerous dance companies in New York and across the country. He designed the costumes for the Martha Graham Dance Company’s Chasing, which premiered at Lincoln Center in 2011. He also designs exclusively, for the worldrenowned burlesque artists Dirty Martini and The World Famous *BOB*. Quinn designed the circus Desir, in conjunction with the jeweler Boucheron on its 150th anniversary. Quinn is featured in the documentaries Dirty Martini and the New Burlesque and Haute Child in the City. He designed the costumes for the feature length film Celluloid #1 and designed performance costumes featured in the movie Tournée, the directorial debut of Mathieu Amalric. Quinn’s made-to-order gowns have been on red carpets at the Tony Awards, the César Awards, the Emmy Awards, and the Cannes Film Festival, as well as countless opening nights and premieres. Quinn also conceives, costumes, and directs performance art happenings combining fashion, dance, and music. ArtForum called Quinn’s piece Scenes From a Ladies Room “a stunning spectacle.” Keep up to date with David Quinn on Facebook at Davidquinnnewyork, and on his website www.davidquinnnewyork. Gregg Bellon is a performer, director, writer, designer, and stage manager. OFF-BROADWAY: As Production Manager/Tech. Director – Family Secrets (Assoc. Prod. Mgr., 37Arts, prod. Harriet Leve, dir. Bob Balaban), The Revenger’s Tragedy (45Below, The Culture Project, Red Bull Theatre Company, dir. Jesse Berger). As Set/Lighting Designer – Sideways Stories from Wayside School (The New Acting Company, dir. Stephen Michael Rondel), Jane Ho (Lion Theater, HExTC, dir. Arian Blanco), The Jungle Book (The New Acting Company, dir. David Miller). REGIONAL: As Sound Designer – The Rivals; Rounding Third (Centenary Stage Company, dir. Carl Wallnau); OFF-OFF BROADWAY: As Production Designer/Stage Manager – Amber Martin's Hi! (GVC, dir. Howie Baggadonnutz); As Performer – Living in Exile (HExTC, dir. 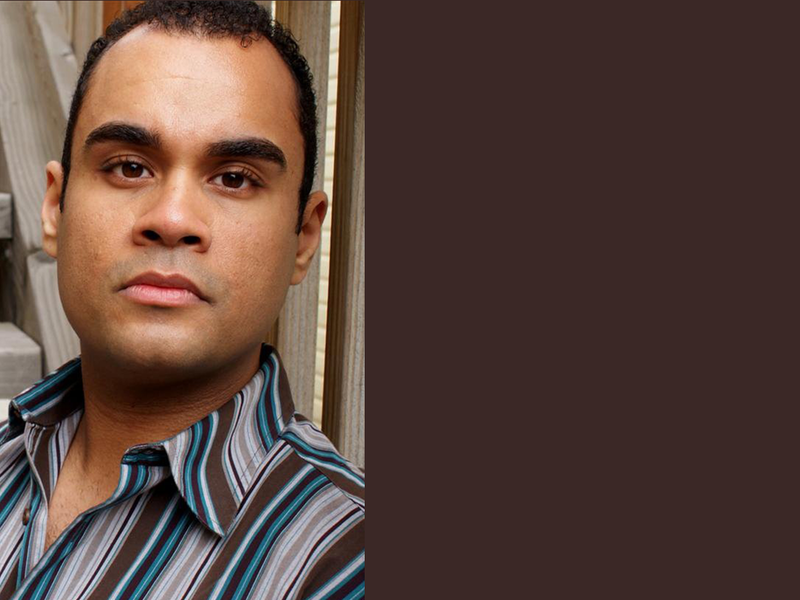 Arian Blanco); As Director – Aloha, OY! (The Dorothy Strelsin at The Abingdon Theatre), The Knowledge & Conversation of My Holy Guardian Angel (HExTC/FringeNYC '04); As Writer – Lead Heavy Sky (The Production Collective/FringeNYC '03). Technical Director for the New York International Fringe Festival. Board President of Hudson Exploited Theater Company. Founder and Artistic Director of Production Consolidated, a production company founded on a holistic approach in the development of original work. As always, for Nick.